July 10, 2012 by Aaron R.
This is not a review, I leave those to others more qualified (BHodges), rather it is a few reflections on some of the themes of the book. I will try not to give too much away but there are spoilers. Like most Mormons, I do not know a great deal about Zoroastrianism. Additionally, I know SteveP well enough to be fairly confident that he is far from ignorant of that religious tradition. As such I am sure to mis-read certain elements of the book because of that lacuna in my knowledge. This will certainly be a Mormon interpretation of the book but I hope it is an interpretation that encourages a few others to buy it for themselves. Last Friday, I read ‘A Short Stay in Hell’ in one sitting. Apparently, I am not the only one. Since the book has been published through Strange Violin, with Matt Page’s new excellent cover, comments about the book have been regularly popping up in my Facebook feed. That same Afternoon, I gave the book to my Mum who also read it within a few hours that same day. We had two quite different experiences: while she found it a little pessimistic (although thought-provoking) I found it unsettling but unfailingly hopeful. I am, as I have written elsewhere, ‘someone who is intimidated by the boundlessness of the eternities and who can (perhaps) envisage a time when I might choose to cease to exist’. This book offered some comfort regarding why and how I might choose to be with another for eternity. Peck provides a compelling account of Hell that is born of modernity and Mormonism. It is precisely the Mormon-ness of this particular Hell that seems, I think, to haunt those readers whom I know. The novel’s Mormon qualities reside not in the apparent verisimilitude between spirit prison and this Borgesian library, although this theme is certainly developed. Rather, it is deeply Mormon because it describes so closely the Mormon folk-view of the Celestial Kingdom and brings its hellish qualities into a rather stark light. Hell is homogeneity; or, in the words of e. e. cummings, ‘sameness chokes oneness’. It is the realization of sameness, under the rhetoric of perfectionism, on which Peck founds this Hell. You might say that, the first law of Hell is to be like everyone else. In contrast to this view, Peck hints at, but does not fully articulate, a vision of Heaven that is based on beauty through diversity. Early in the novella, before the weight of eternity presses on the reader, the narrator reminisces about a book which argued that ‘God created the universe as a way of sorting through the great library, finding those books that were most beautiful and meaningful… the work entertained the notion that evolution was the most effective algorithm for finding the subsets of coherent and readable books that are scattered thinly through the library’ (3). Peck, in this passage, is being a little playful but does so in order to make a serious point. It is no coincidence, in my opinion, that this argument is one of the only texts of any significant length residing in this library that is presented to the reader. As such, the trace or impression left by this book follows our journey through Hell despite it being a late discovery for the narrator. This suggestion of randomness, implied in the nod toward evolution, is reflected in the apparent absurdity of the search for meaning in the library. This is evident in the ‘most significant text’ of year 102. Yet, the search is carried out under the assurance that the library contains meaning; not only this, the library contains us. We are part of the beauty that must be found and gleaned from the randomness of life. This beauty, which lies undiscovered but in potentia in the unimaginable possibilities of the library, is all the more meaningful because of its randomness. Rarely has a single line of fragmented prose moved me so deeply as the words found in one of those books. The search for beauty and meaning in a world characterized by randomness will surely produce inanity and superficiality but this does not negate the importance of the search nor the beauty of that which genuinely shapes our lives. Love and eternal relationships are another prominent theme of the book. ‘Have you ever loved someone for a thousand years?’ Peck’s question works as a counterweight to flippant talk of eternal marriage – especially in light of the slightly relaxed way that Soren Johansson understandably moves between partners. And yet, in the prologue of the novel we clearly hear the lament of the narrator at the loss of his great love. Surely one of the principle themes of the novella is how love comes to ‘structure… the very topology of our consciousness’; it is, in other words, an effort to affirm the importance of eternal relationships without resorting to trite platitudes. Here is one of the most hopeful parts of Peck’s novel: with eternity before us – a genuine and expansive eternity – the chance of finding that lost love is as unlikely (but also as probable) as finding the story of our life in this ‘infinite library’. To guiltily borrow a line from ‘The Last of Mohicans’, “I will find you. No matter how long it takes, no matter how far, I will find you.” How could Soren do anything else? This hopefulness is part of the system. Those who currently reside in Hell are told: ‘Do not get discouraged. Remember nothing lasts forever. Someday this will be a distant memory’. This feeling is more than just a facile instruction; it is part of the setup. Soren cannot doubt, even when he wants to; he believes that there will be something else after this Hell. It is this hope which concludes the book; a hope in the redemptive process of the struggle to find ourselves and each other. 1. One of the uniquely Mormon assumptions Peck brings to his novel is that annihilation is not an option. This is to be contrasted with Julian Barnes’ short story ‘The Dream’ in which the absurdity of eternity is sketched out. Peck seems to ask, if we assume the eternal nature of the soul, on what basis could we find happiness with another forever? 2. I have only ever read one poet! PS. I apologize for posting again so quickly but I wanted to share this while the feeling was still fresh. Aaron, I also read this in one setting. I thought it was clever, profoundly unsettling in its vision of what eternity seems like to our limited mortal perspective, and ultimately hopeful. I did wonder when Soren observed that his particular hell was populated with a homogenous group of people all like himself, if it also reflected on his experience living in Utah County (tongue firmly in cheek). I have recommended this to a number of people. Thanks Aaron. Every time I think of this book, and that seems to happen about once a day, I alternately see eternity as menace and hope. When I was dating my husband he told me he’s never liked the idea of the Celestial kingdom because he hates the idea of being just like everyone else. I’d more or less just thought of it as a pretty garden, so I thought he was being melancholy. I’m getting the book, because we both really need to read it! This book is the only one I’ve read that gave me nightmares for a week straight–I had to do a buttload of research on Zoroasterism before it stopped making me anxious. Strangely, the “sameness” wasn’t one of the things that freaked me out about this book, but it is a good point, and is quickly emerging as my main issue with the Church. God made us all unique, gave us our own trials, preferences and quirks, but then we’re supposed to fall into the same homogenized groups within the church? I could go into a long rant here, but I won’t. I’m feeling like I need to re-read “A Short Stay in Hell” after reading your notes. If I have nightmares for a week again, I’m blaming you, Aaron. It really is a captivating read. And I very much enjoyed your thoughts, Aaron. Haven’t read the book yet, but am picking up on the unique versus same mantra. Is it bad to be “one” the way Heavenly Father and Christ are one? Suposedly, no two snow crystals are the same, yet from a distance and to the casual view, snow looks the same. I guess I’ve never worried about that aspect of the Celestial Kingdom. As for love and eternal relationships, we’ve been fed a romantic version of the CK for a long time by many prophets, yet in some quotes, those relationships are described as “an eternal association.” I wish we had clearer revelation on that aspect, and whether our relationships — even ones that don’t eventually result in marriage — will eventually come full circle. Re Peck’s theme: For the last decade I have been responding to my dialogue with Buddhism where a major insight of difference for an LDS thinker is this: there are gods who become/enjoy/have/experience every relationship of joy and love that could be desired–with unimaginable variety and beauty for unthinkably long durations–that finally opt out of everlasting divine life in favor of non-life, non-death, non-differentiated, non-unified Nirvana. In a nutshell, Hugh Nibley said it with his quip, “Our problem is–what do we want to do forever.” I told my Buddhist associate that the Mormon celestial world would allow me to enter into Nirvanic bliss with an automatic option (wake-up call?) every million eons to the non-me in case re-entry into the circle of life seemed “appealing” to a non-desiring non-person. In recent years all my theological thinking has shifted to “making sense” of earth life in the context of formal (particular material/spiritual forms) eternal persons in mutual relation (think sociality before and after mortality). Sartre’s No Exit is still my favorite play about hell. No one has written my favorite story about heaven (yet) unless it is the eros filled earth-heaven and men-women in The Brothers Karamazov. Great review. I also really liked the book. I thought it was interesting that you only alluded to the sameness at issue in the book without describing it in the review. I assume it is the demographics of the people who are searching the library, is that right? Wow! I assume that the new cover makes my old book (with the original cover) more valuable. I love the new cover. john f., yes, primarily the demographic of the people, their clothing and their perfect teeth. I did not want to give too much away in the review. Obviously I do not think that this can be pushed too far for the book itself opens up the possibility of multiple Hells. Maxilu, I am willing to accept the blame. Read and share, my friend. Randall, great to have your comments here. I think there is a real struggle there that needs to be worked through in a more systematic way. I really need to read The Brothers Karamazov. Thanks for stopping by. IDIAT, eternal associations mingled with intimate relationships are the bedrock of my vision of the CK. Hopefully the subset of intimate relations within those eternal associations will only be occupied by one person but I believe that those associations are no less important in defining our subjectivity. Emily, I hope it proves help. Aaron, fwiw I really think this is essentially a great little book review. Your reflections get the old brain churning by introducing some of the key themes, making potential readers more likely to become actual readers. Nice. Aaron, Thank you much for writing this. Nothing means more to an author than his/her work being taken seriously. These insights are so beautifully expressed. The book actually shocked and disturbed me, because I’d never really thought about eternity before. As its dimensions begin to unfold, sometimes I would lie in bed and have to sort of hold onto the bed to keep from falling into the depths that seemed about to overwhelm me. As you say, we talk pretty glibly about ‘eternity’ as if it were just a simple concept, but it terrifies me. Thanks so finding so much in such a thin book. You’ve brought out things that I had not developed in my own mind. As your post demonstrates, the book goes beyond its author. I’m hoping the book will get picked up as the PH/RS course of study for ’14. I think the class discussions would get quite lively. I was surprised to see people talking about the “sameness” in their view of the CK, being “just like everyone else.” As Maxilu (#5) said, “God made us all unique,” and I believe we will remain unique, even when (and if) we are exalted. We will be perfect then, but I believe we will retain our individuality. Some people will be tall and some short, just like they are in this life. Even perfect people could still have different likes and dislikes. I think (and hope) that people will still have their racial identities. I asked Darius Gray once if he thought he would be resurrected white and he said he hoped not.. I hope I will be my skinny, gorgeous “real” self and not the overweight, arthritic old lady I am now. I hope my scars will be gone, so I have two eyebrows that match instead of having to pluck the one without the scar (that I earned from falling out of my highchair as a child) so it’s the same as the other one. As someone who is partial to facial hair on men, I hope exalted men will have the option of growing beards or mustaches. And will we all dress alike? Who knows? Certainly wandering around in a long white robe all the time would simplify the decision of what to wear each day. And I think that if we pick up a book from the Celestial Library, it will contain beautiful, meaningful words, and not be just a jumble of letters. And even though eternity in the CK will be a long, long, long time, I believe we will be involved in important activities. I doubt we’ll even have time to be bored. 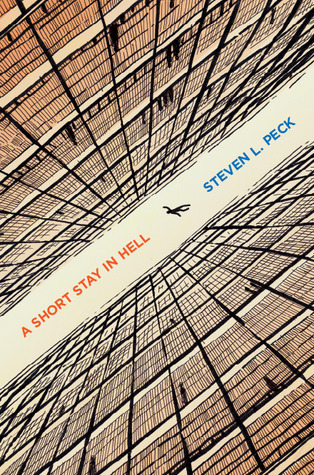 Steve Peck’s views of Hell seemed to me to definitely be Hell. Ok, finally read it. Somewhat in the same genre as Mark Twain’s Letters to the Earth or similar works. Start with a religion that teaches you do not need to be a member to be saved. When you die, if your life has more good than evil, you go to heaven. If your life is net evil, you go to hell to be purified. What if you died and discovered you had been net evil? How would you react and what process would purify you? In Peck’s novel there are many, many different purifying hells. The protagonist spends billions of years in one before losing hope, which is where the novella ends. He never finds the book (one per floor) that explains the true religion — so that he probably has to conclude that he may well have missed the book he is looking for. Rinse and repeat the last many billion years. Madness is possible in hell. Eventually all humans become solitary rather than fusing together. Eventually he is swallowed by dispair and inertia. Why it took so long is never explained. Now I read Twain in fifth grade back in the 60s and other approaches to this topic since, but I felt as if the usual review of this book and my experience were vastly different. Lastly, you are here to learn something.Don’t try to figure what it is. That can be frustrating and unproductive.